This is my favorite cake that I have ever created (it may have something to do with how much I LOVE Christmas as well that is features my favorite Christmas special. 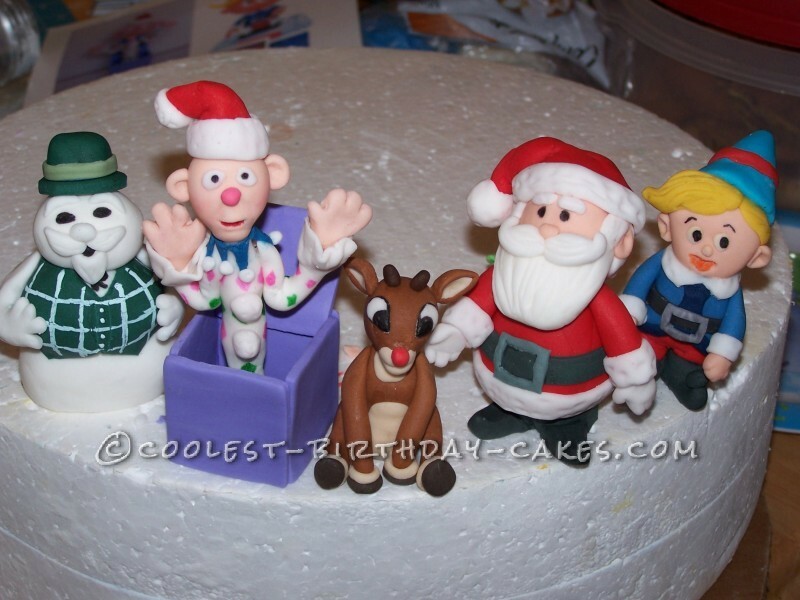 I was asked to make a Christmas themed cake for someone and I could pick the design so I started playing with some sugar paste and decided I was going to take on the Rudolph theme. 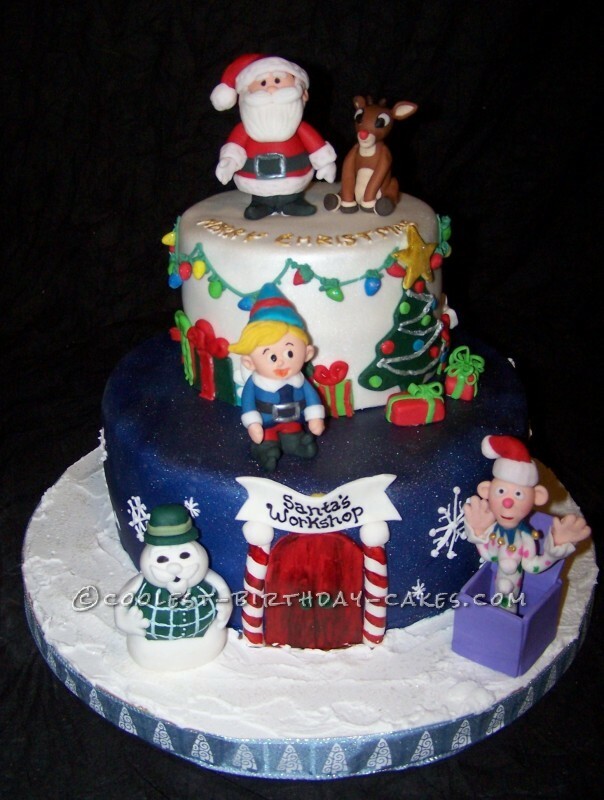 I hand made all the figures over the course of a week and I loved creating the cake and adding the figures to the North Pole theme.